Let's Go To Comic-Con, Voltron Force! Filed to: Dynathrusters Are Go!Filed to: Dynathrusters Are Go! It might not feel like it, but we're in the midst of a Voltron revolution, and nowhere will that be more readily evident than at next month's first Voltron Comic-Con panel ever, where THQ will be on hand to show us what sort of video games the five lions will be forming up to create. Five lions, five heroes, one giant robot, one blazing sword. That's the Voltron formula, and it's one that's worked just fine for fans since 1984. Now World Event Productions is trying to restart passion for the series in order to preserve this iconic 80's series and make a great deal of money. So far they're off to a shaky start with the Voltron Force animated series on Nicktoons. Perhaps THQ can make things better? As reported back in February, THQ has signed on to develop video games based on both the classic Voltron and the horrible new series, and the San Diego Comic-Con next month is where we'll get a glimpse at what the publisher has in store for us. During an hour-long panel held Thursday, July 21 at 6PM, THQ producer Adam Affrunti will give fans a look at how the Voltron games are coming together. 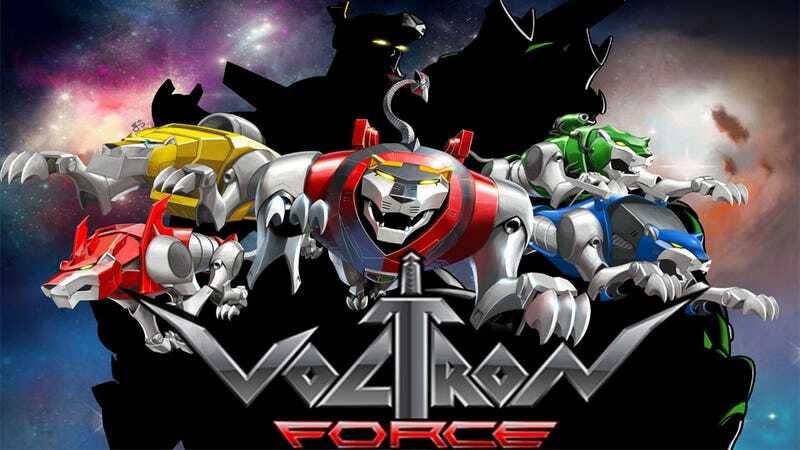 Affrunti will be joined by various folks working on the Voltron cartoon series, toy tie-ins, and comic books, with surprises aplenty promised for fans of the five cat robot assault squad. We'll find out next month, during our annual trip to the San Diego Comic-Con.